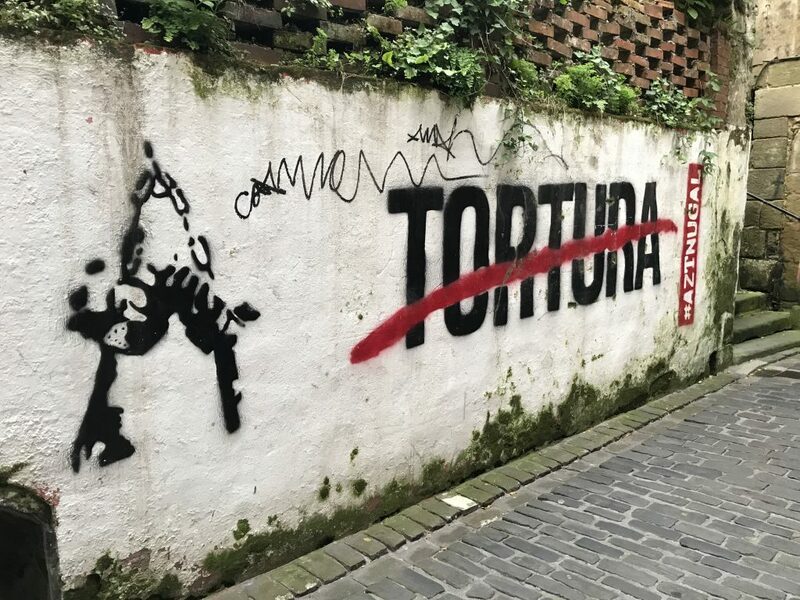 At the end of my study abroad experience in San Sebastián, Spain, I completed a creative project whose thesis was to be whatever I learned in San Sebastián. Out of all the things I experienced, the most vivid to me was the humanity I felt and experienced through various interactions with native people while abroad. It struck me the most deeply that people are people everywhere, and I am just one. 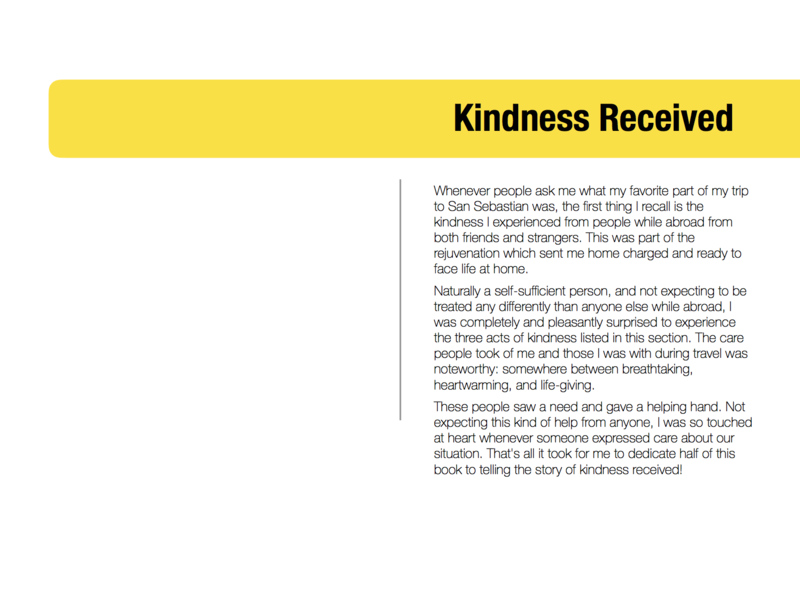 But the expectations and actions of people everywhere can make a great difference throughout the world. I now present to you my final project. Enjoy! Four Reasons to Study Abroad! 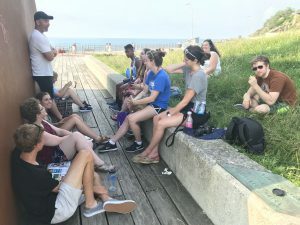 It’s an amazing adventure to Study Abroad while in college… I and hosts of other students and long-gone graduates could tell you the exact same! Here are four reasons why you should study abroad! 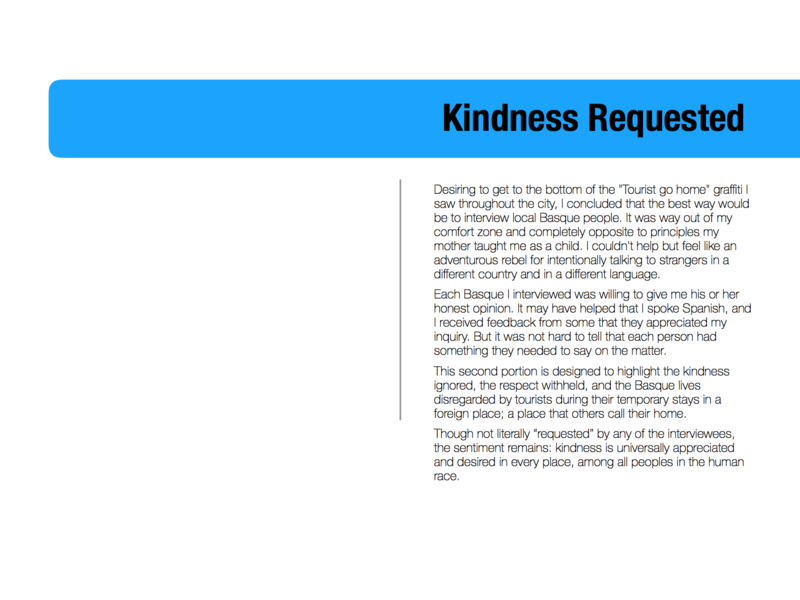 … And I may or may not have included a bonus at the end, in case you aren’t convinced by the first four. of study abroad students found employment within 12 months of graduation. of study abroad alumni who applied got into their 1st or 2nd choice grad school. In fact, governments around the world have quotas listed about how many students should be funded to go abroad, including the USA (2). This seems to indicate that it is in the best interest of a country for its students to see the world and gain world-perspective. If a government decides it’s good for students to study abroad, perhaps it really is a good idea. 🙂 All this means the world is more likely to say YES to your dreams of life after graduation! If you’re still working on your dreams and goals, don’t worry– studying abroad will help you out with that, too! 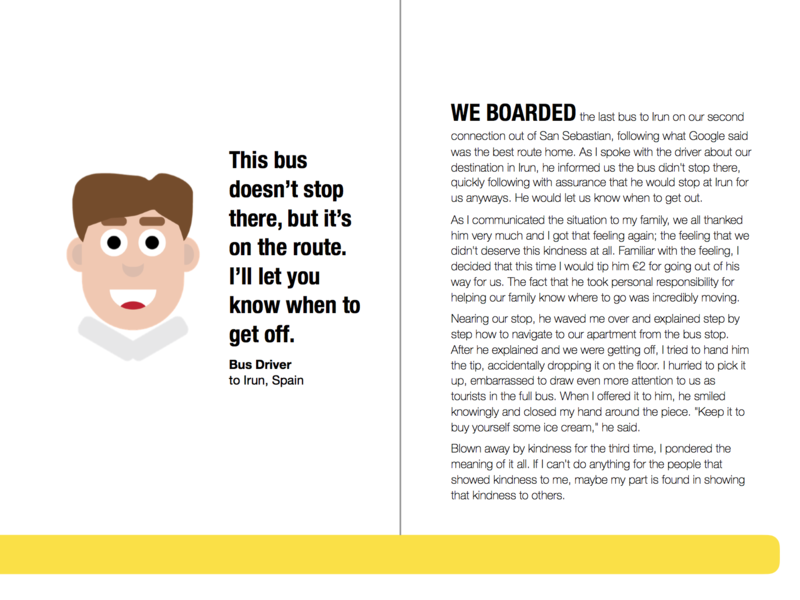 Studying language and culture in Spain was bound to shake me around a little bit as a Computer Science major. I took the course knowing I would get very little credit for it, and that it had nothing to do with my major. My main purposes in going were to see Spain, and to use there the Spanish that I knew, while getting away from life for a while to answer some questions on my mind. Being an ocean away from home helped me evaluate my reasons for living and my goals for my future, two very important existential matters that some people never end up consciously answering! It can be a really exciting goal and mission to learn another language while abroad! Plenty of my classmates in my program had either only learned a bit of Spanish before arriving in Spain, or had never spoken a wink of it before. Many had experienced Spanish class in high school, but never came out speaking Spanish. Though I and my roommate became almost fluent in high school, perfecting and learning more Spanish was still rewarding and exciting. Still, going from 0% to even 20% fluency in Spanish is one of the most exciting things; I witnessed it in many of my classmates, and you could experience it, too. You just need to put your foot in and see how it feels. If you like communication or want to get better at communication, whatever side of the spectrum, the immersive language experience is perfect for you. You will get to talk with cashiers and store owners, say thank you to the gelato lady, and compliment an artisan’s craftwork. And of course, you will elicit from some a nice smile that says “Well done speaking the language, keep up the good work.” When you speak another language, it means you can potentially converse with another 20-600 million more people on this planet… and if that isn’t exciting, I don’t know what is! Along with being able to communicate with a new population of people in the world, studying abroad opens your eyes to the state of the world. When someone in Spain, whether from the language school or from your host family, mentions “Trump” you kind of want to listen a bit closer. It just happens. What do they think of Trump? What do they think of the US? What do they think of me? When I heard the opinions of non-americans regarding Trump, it made me want to care a little more about US politics. Another thing that was amazing to me was the effect of the state of the US economy on the economies of the world. I learned this through learning about the San Sebastián custom of Thursday-night “Pintxo Pote,” when bars offer a special deal of one pintxo and one drink to all for €2. Naturally, this causes almost the whole city to be out and about socializing and having a great time around the bars on Thursday nights. The first week of Pintxo Pote that I experienced, I figured it was a custom that had been going on since antiquity, but I was surprised to find out that it only began in “The Great Recession” of 2008. Bars began this deal in an attempt to reliven the social atmosphere in a hard economic time when nobody would go out on a budget. These things together showed me that my opinions and votes in the United States has an effect on the world, and if I am to pursue excellence in being a citizen of the world, I need to be active and aware of my country’s politics. Can you tell yet that I loved the food? 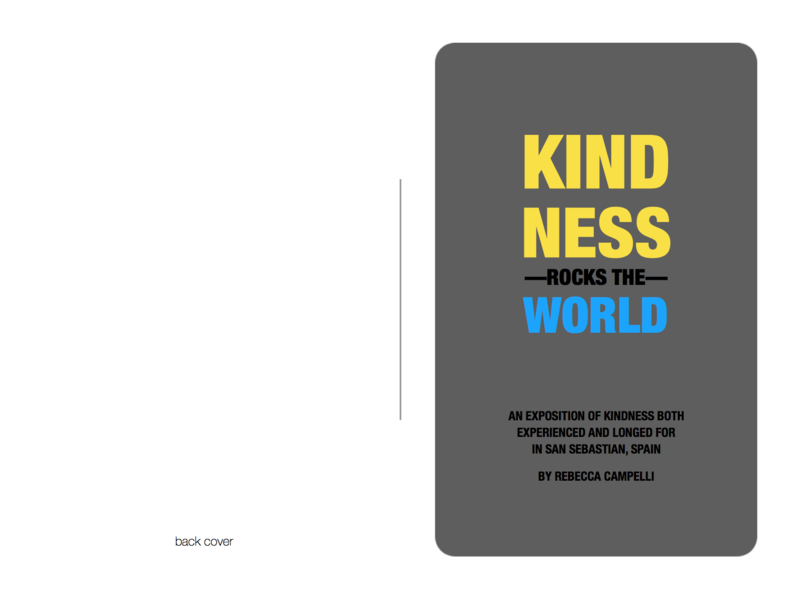 Thank you for following along with this blog! I appreciate your support, and I hope you have enjoyed what you read. Hopefully you are one step closer to taking your first (or another) study abroad experience! Go for it. I’m sure you will not regret it. 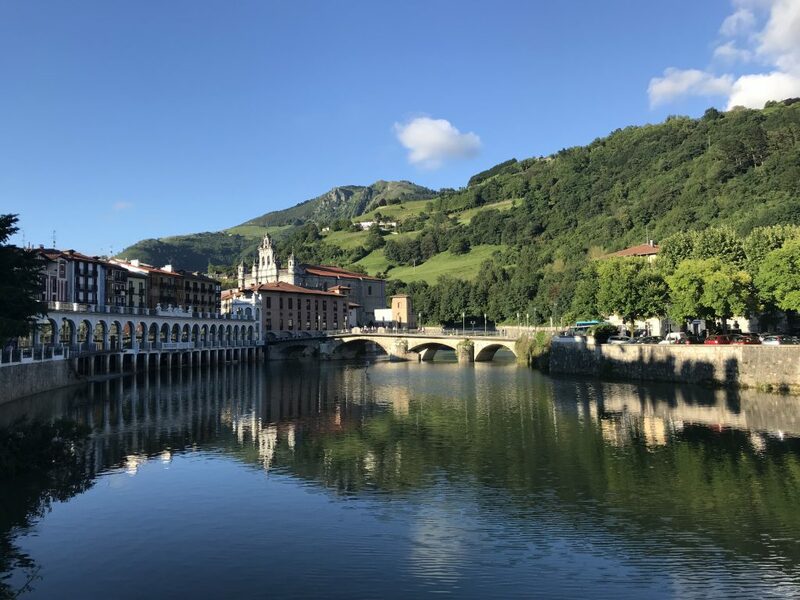 When I applied for the San Sebastian Honors study abroad trip with UML, my objectives were to travel to Europe, see a new country with other students, learn about the culture, and practice Spanish. What I didn´t realize was all the perks that come along with experiencing language school while studying abroad! Here are three perks of studying Spanish while studying abroad in Spain! 1. 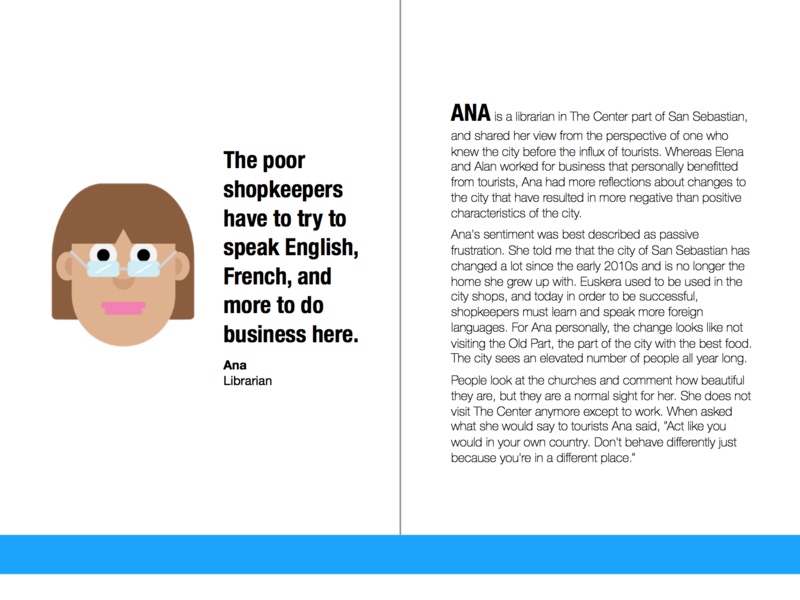 You’re taught by native Spanish-speakers. No matter what your level, beginner through advanced, you will be taught Spanish by a native of Spain while here at Lacunza. 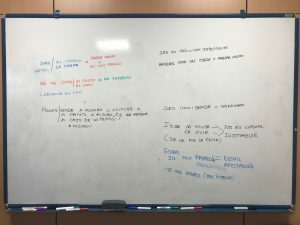 Since I entered this school with some former experience in Spanish, my favorite aspect of having native teachers is that it is possible to get answers to very detailed questions regarding grammar and colloquial speech. For the more beginner learners, this means that your professor will always use Spanish with you, and use English as little as possible in the classroom. This ensures that you get the best instruction possible, and get every question answered! My teachers are native Basques who were born in the Basque country of Spain, and can also teach about the culture of this region, a subject that is best to learn from natives! 2. You live your homework every day. 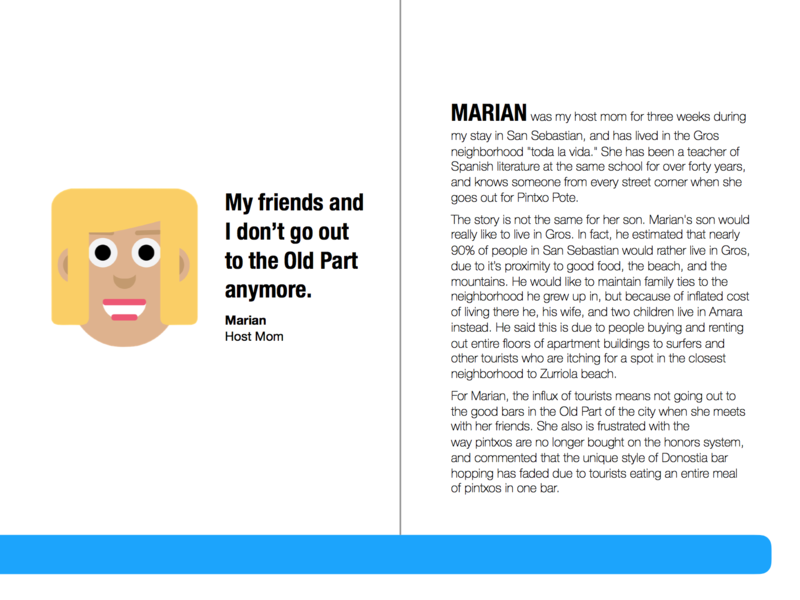 Even though you are assigned paper homework by one or both of your teachers to complete for the next day, there are endless opportunities to practice Spanish in between. Many studies on information retention have concluded that memory recall is one of the strongest ways to reinforce that information for long-term memory. If you put yourself up to the challenge, you can recall and reinforce vocabulary, phrases, and mannerisms when ordering food, chatting with your teachers, making conversation with your host family, or even amongst your UML classmates! 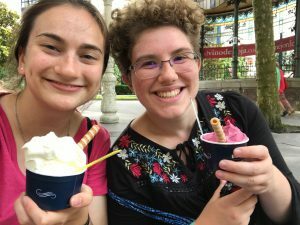 Me and Hannah with delicious gelato which we ordered — you guessed it — in Spanish! 3. You’re surrounded by like-minded international students. When you take the entrance exam at the language school, you are placed into a learning bracket with other same-level students that have expressed a similar learning preference as you (grammar, vocabulary, conversation, etc), and most importantly who have come to learn Spanish, just like you! These students come from all over the world to learn Spanish; students in my class of 12 hail from Sweden, Switzerland, Germany, Japan, Korea, China, and the United States– this makes for an incredible cultural exchange! Additionally, many have similar mindsets and talent/experience when it comes to learning new languages and travelling the world. In a recent class exercise, I and a Chinese classmate discussed our life dreams (deep stuff! 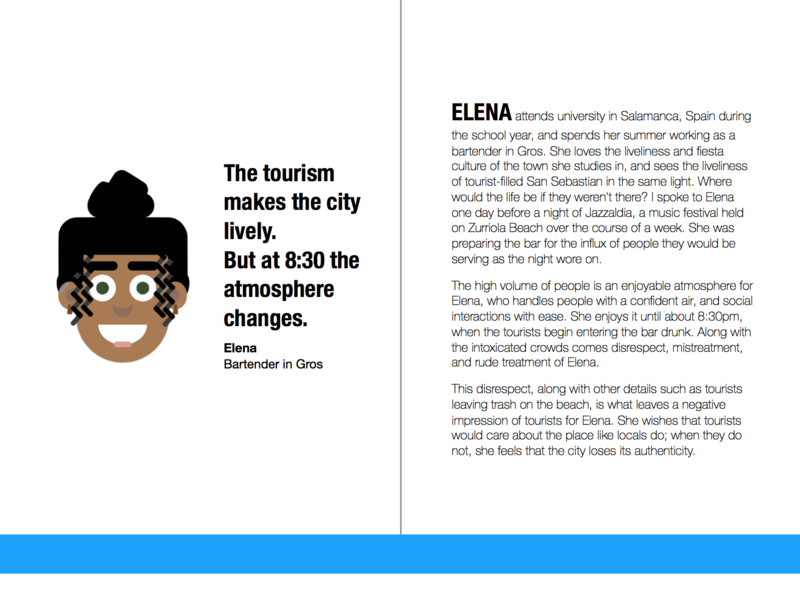 ;P), who said she wants to travel the world– and many expressed similar interest! 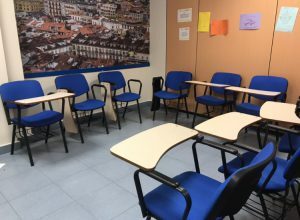 A typical classroom — not more than 12 students per class! When I signed up for this three-week study abroad I had no idea about how rich the experience of language school could be! These three perks of Spanish school in Spain were a very nice surprise, and will be a part of my life forever! If this sounds like an experience you´d like to have, make sure the program you´re selecting has a language school component. You won´t be disappointed. 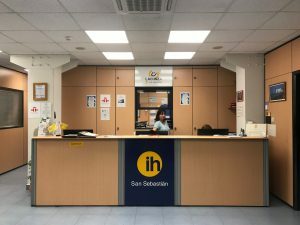 The Lacunza Language School of San Sebastian is one school in a network of 20 in Spain, and more than 160 in the world associated with the International House organization. Check out their website for more information! As I live and breathe in the air of San Sebastián, I learn more and more about the Basque culture every day. 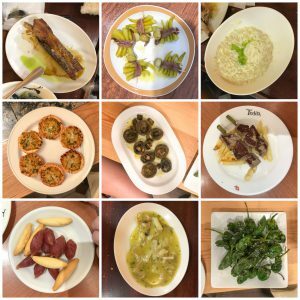 On Wednesday I learned the most about pintxos, the most commonly found kind of food here in San Sebastián—through a food tour. The word “pintxo” in Basque comes from the Spanish word “pinchar” which in English means “to puncture” or “to prod.” A pintxo is most classically known as a stack of food skewered with a toothpick to keep it all together, or more generally, a snack-size food featurette that costs 1.5 to 6 € apiece. 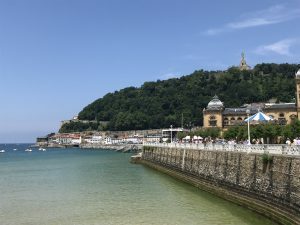 The custom at lunchtime (1-4pm here in San Sebastián) Is to have a pintxo or both a pintxo and a drink at one bar, then move onto the next bar for your next pintxo and drink, typically 3 to 5 times for a meal or until you are full. Bar-hopping at lunchtime in San Sebastián does not carry the same connotations as it might in Boston. Firstly, the food is of world-class quality (https://bit.ly/2mtR3ie). Secondly, the social atmosphere and expectation is such that it is quite normal to eat one pintxo at this bar, another at the next, and finally hop a couple streets over to visit your favorite bartender at another. 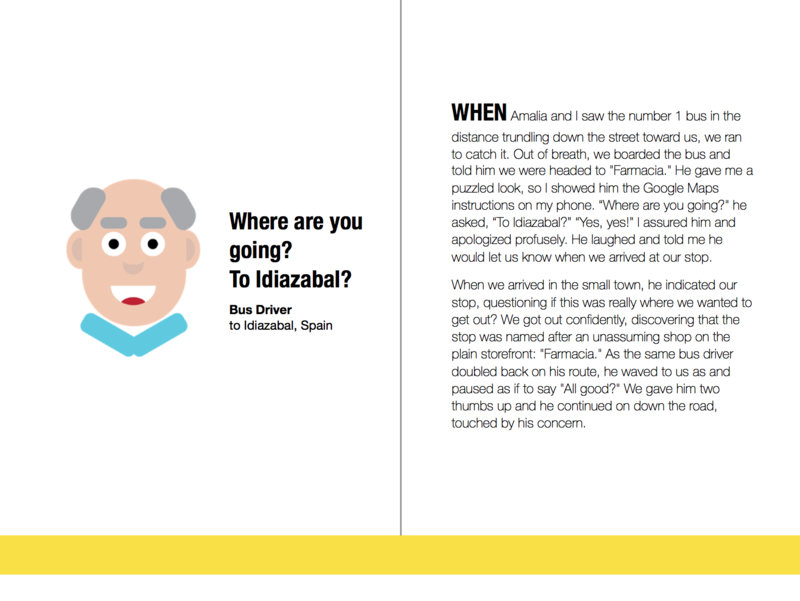 Some will have a drink with their pintxo at the bar before moving to the next bar. Some will run into a friend and have a chat. Most will bring friends and have a great time all the while. The atmosphere is very social, open, and inviting: grab a pintxo, enjoy, and pay before you leave. The way you can spot a good pintxo bar is either that (1) It’s so crowded that you can’t even squeeze in, or (2) It has a plethora of crumpled up napkins on the floor. While number one is somewhat self-explanatory, number two calls for a bit of an explanation. A casual American tourist could easily think that napkins populate the floor due to sloppy patrons, but this is not the case. When you have eaten a really good pintxo, you grab a napkin from the dispenser (a small slip of paper), wipe your greasy fingers, then toss the crumpled napkin on the floor. This token indicates that you’ve enjoyed the bite you had to eat, and the accumulation of such tokens serves as a sign to others that they might just want to stop in. Of course, if I bar is incredibly crowded and ALSO has tons of napkins on the floor, you might want to plan on lining up there before opening time tomorrow! 1. Pork rib. This pintxo was a delectable treat at the Bar Borda Berri that arrived steaming with a crispy, caramelized layer on the outside. The golden brown crisp and the tender meat beneath paired incredibly with a piece of a fresh roll of bread. 2. Gilda. 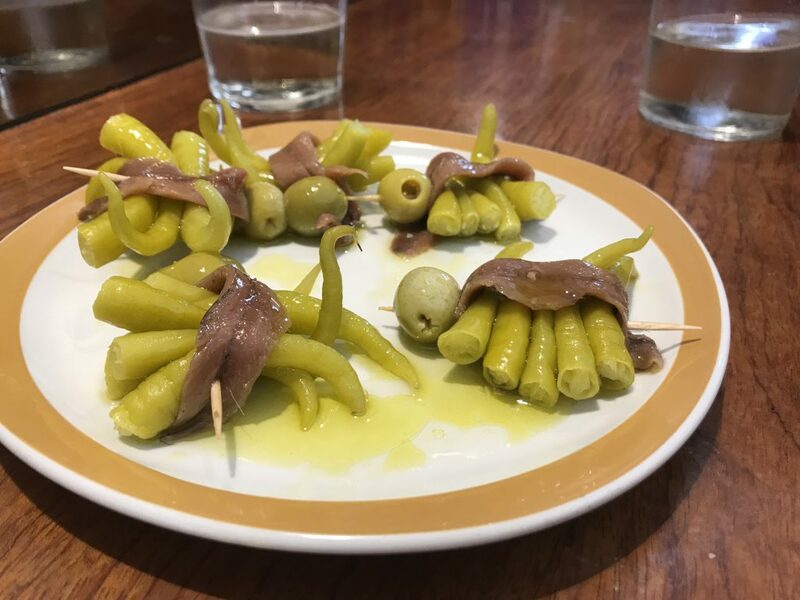 The most classic pintxo around, the Gilda is made of green olive(s), mini pickled hot peppers, and an anchovy, skewered together. It was named after the 1946 film starring Rita Hayworth, whose image on the movie poster has been described as “savory, green, and a little spicy” — thus this pintxo’s name. 3. Risotto. This pintxo was also a special of Borda Berri, and brought incredible flavors to the table. Made from Spanish rice and the milk of pasture-fed sheep. It was creamy with a delightful, rich, aromatic flavor. Drizzled over the top was a parsley-garlic olive oil which added a facet of fresh flavor to the aroma. Though we all felt like Violet Beauregarde (Blueberry-girl from Willy Wonka) when we were finished, we stuck it out for some Basque Cheesecake and a Café Cortado to finish out the class. (A Cortado is a shot of espresso cut by a swift pour of frothed milk.) The espresso paired brilliantly with the light, fluffy cheesecake, and also ensured that I would not immediately be overtaken by a food coma. 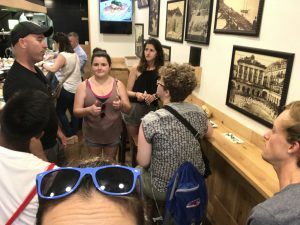 Not only was this my favorite class in the history of my school career (fooood), but it was an incredible peek into the public food culture of the Basque Country, which treats food in a completely different manner than Bostonians. Though I realize that I will likely not be able to eat in this fashion for 99% of my life, I am grateful to have tasted 17 pintxos of San Sebastián with a group of other students also experiencing it for the first time with a knowledgeable professor at the helm. It is for these moments and experiences that I chose to study abroad, and it hasn’t disappointed yet!! 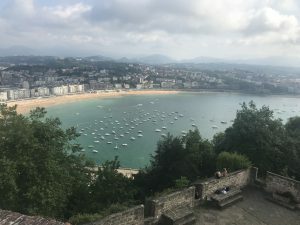 Welcome to UMass Lowell’s Global Correspondent blog, where I will be writing about my study abroad experience in San Sebastian, Spain! 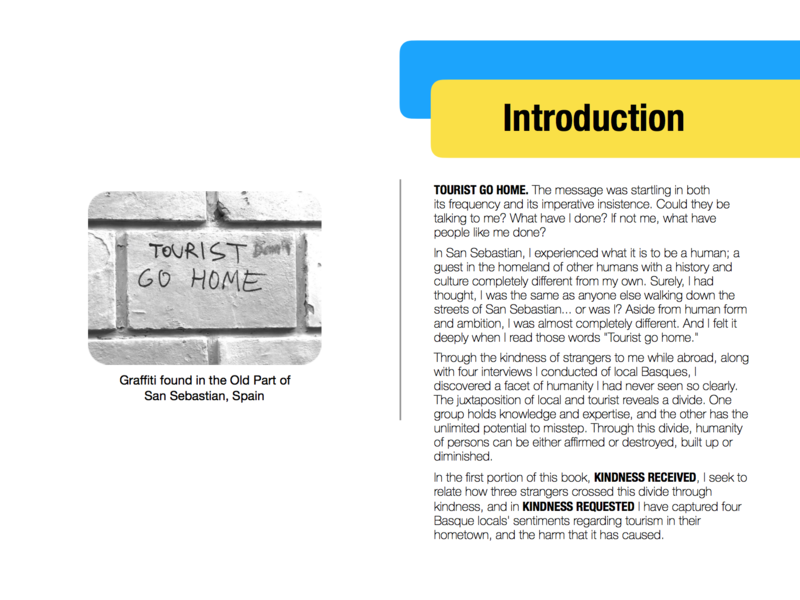 First, an introduction. I’m a native of Massachusetts, and a Junior studying Computer Science at UML. I am a commuter, and also love social activities; you can often find me involved with the activities of two or more clubs on campus! 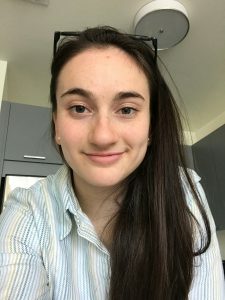 The top three reasons I decided to study abroad in Spain are that (1) I am young with very few grown-up responsibilities as of yet, (2) I love communication and want to be able to converse fluidly in Spanish, and (3) I want to see the world and compare Boston culture with other cultures. Whether you are a student, a friend, or a family member (shoutout!) 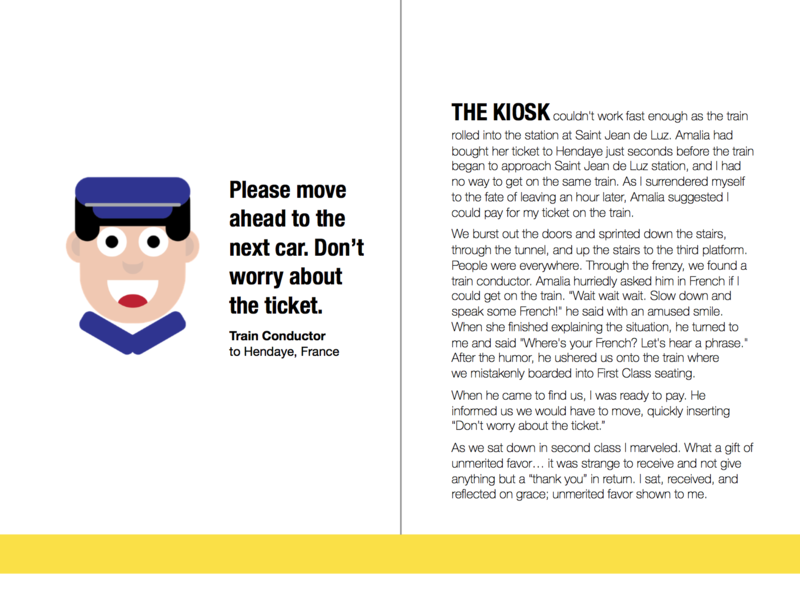 I hope you enjoy this lot of my adventures and while I am in San Sebastian. I appreciate you following along! 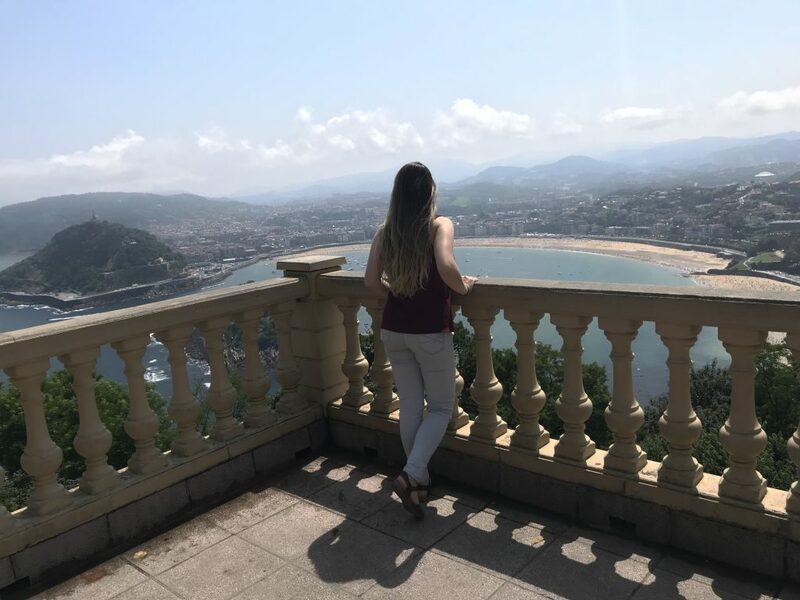 Follow this Summer 2018’s Office of Study Abroad & International Experiences Global Correspondent, Rebecca Campelli, on her studies in San Sebastian, Spain! 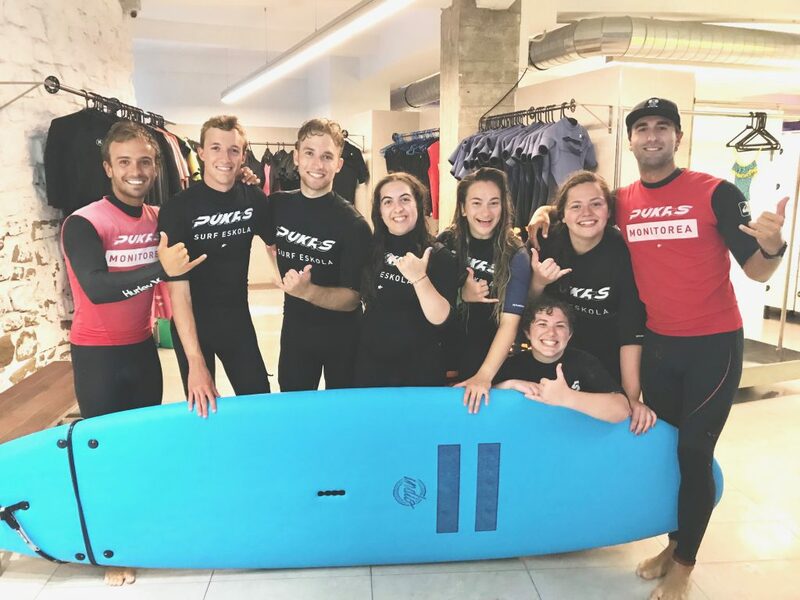 Rebecca is a UMass Lowell Computer Science major studying this summer on a Faculty-led trip in San Sebastian, Spain: Honors Special Topics: Basque Cultural Immersion 2018 Session 1. 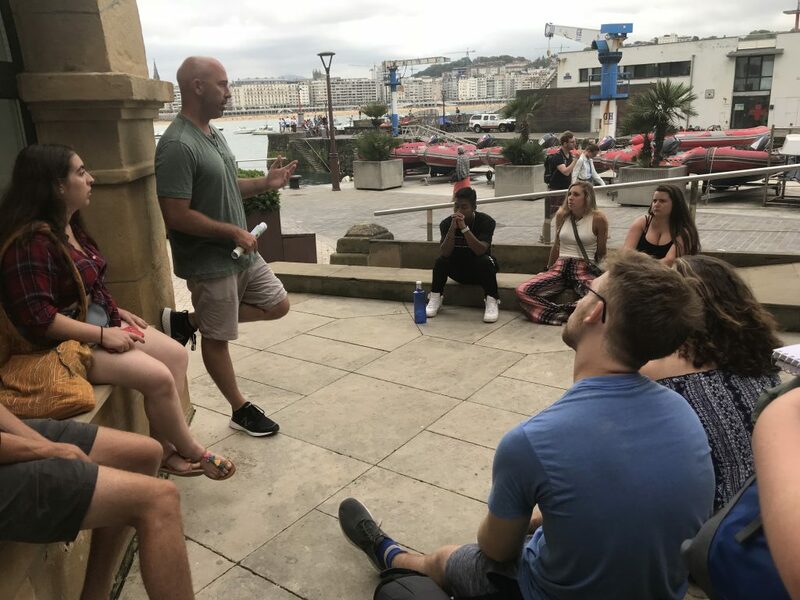 You can also read blogs from previous trips to San Sebastian listed below or from other destinations across the globe UMass Lowell students travel to.